Banksy also shared the Picasso quote, “The urge to destroy is also a creative urge.” He has never revealed his identity, but occasionally participates in media. 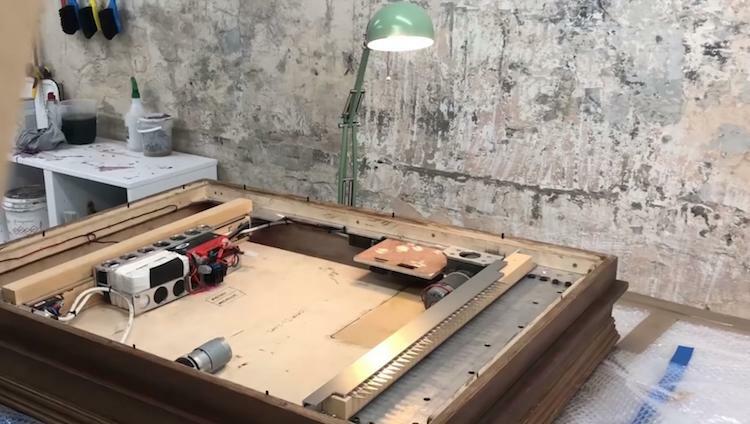 In his behind-the-scenes video, which shows the construction of the shredding picture frame, he said, "A few years ago I secretly built a shredder into a painting in case it was ever put up for auction.” Many have questioned if the auction house had anything to do with the act. 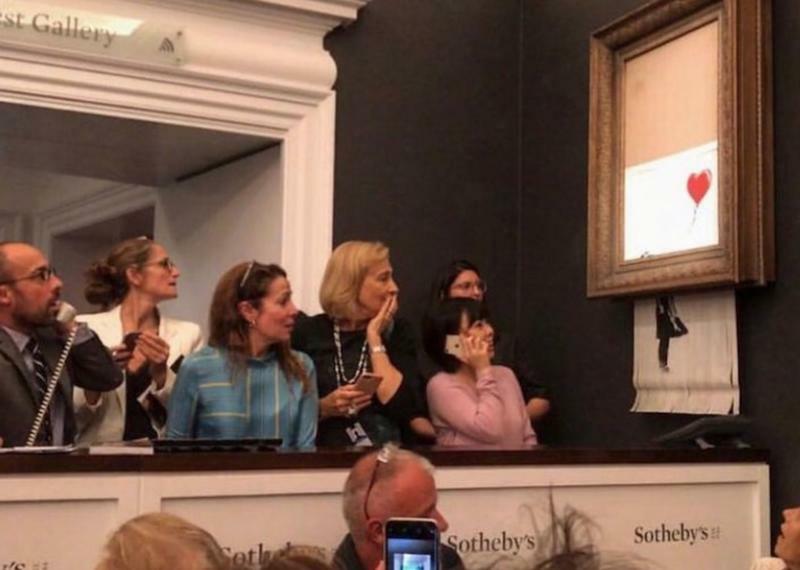 Sotheby’s released a statement clarifying that, "We had no prior knowledge of this event and were not in any way involved.” Some believe this couldn’t possibly be true, seeing as auction houses require thorough inspections of artwork prior to sale. Either way, this definitely made a big impression, and maybe even increased the value of Girl With Balloon. Check out the video below to see the incredible incident unfold.